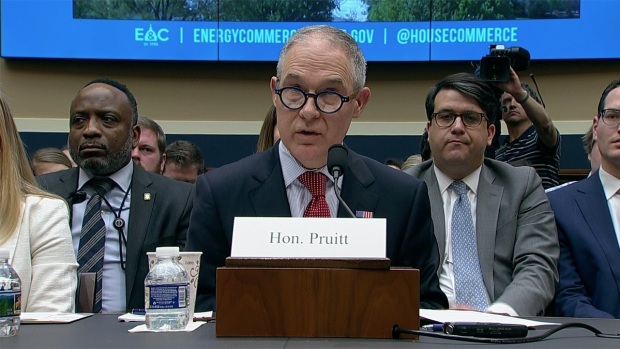 In this April 26, 2018, file photo, Environmental Protection Agency Administrator Scott Pruitt testifies before the House Energy and Commerce Committee's Environment Subcommittee in the Rayburn House Office Building on Capitol Hill in Washington, DC. The focus of nearly a dozen federal inquiries into his travel expenses, security practices and other issues, Pruitt testified about his agency's FY2019 budget proposal. 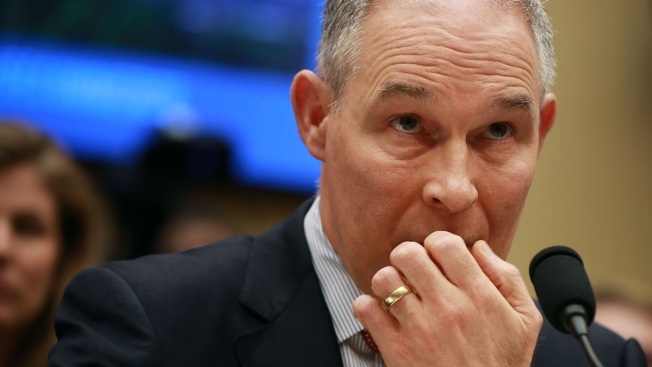 The Environmental Protection Agency's chief ethics official says he is pushing for a series of independent investigations into Scott Pruitt's actions as administrator of the federal agency. In a letter to the U.S. Office of Government Ethics, EPA ethics official Kevin Minoli writes that "potential issues" regarding Pruitt have surfaced through sources within the EPA and media reports since April. Minoli writes that he has referred "a number" of those matters to the EPA's inspector general. He says all are either under consideration for acceptance or under active investigation. Minoli's letter, first reported Saturday by The New York Times after the newspaper received a copy of the letter through a Freedom of Information request, doesn't specify the issues referred for investigation. Environmental Protection Agency chief Scott Pruitt is testifying in potentially make-or-break hearings on Capitol Hill, where he will face questions about spending and ethics scandals that have triggered bipartisan calls for his ouster. News media have reported Pruitt's rental of a condo from a lobbyist's spouse, his use of staff to handle personal matters and other practices. Pruitt faces more than a dozen federal inquiries into his spending and management practices as EPA administrator, according to the Times. Earlier this month House Democrats asked the Justice Department to investigate Pruitt for potential criminal conduct, alleging that he repeatedly violated federal anti-corruption laws by seeking to leverage his government position for personal gain. They cited the condo arrangement as well as Pruitt directing an EPA aide to contact a senior Chick-fil-A executive as part of an effort to land his family a franchise, and a $2,000 payment to his wife from organizers of a conference Pruitt then attended at taxpayer expense.